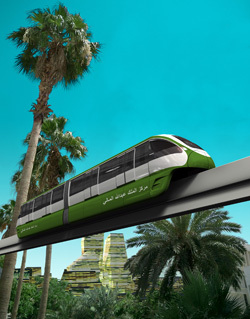 In May of 2010 it was announced that Bombardier will build a 3.6-kilometer monorail system for the King Abdullah Financial District, the new financial and business center under development in Riyadh. 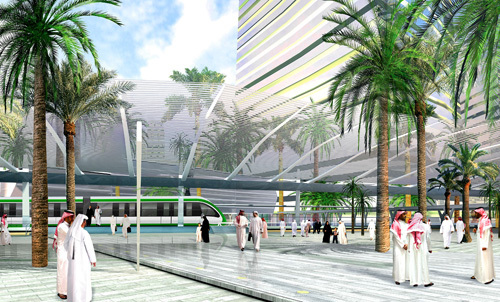 The system will feature six stations and six two-car, driverless monorail trains. The $241 million monorail was originally scheduled to be completed in 2012. As of late 2013 construction of track has begun. The technology chosen is Bombardier's Innovia Monorail 300.